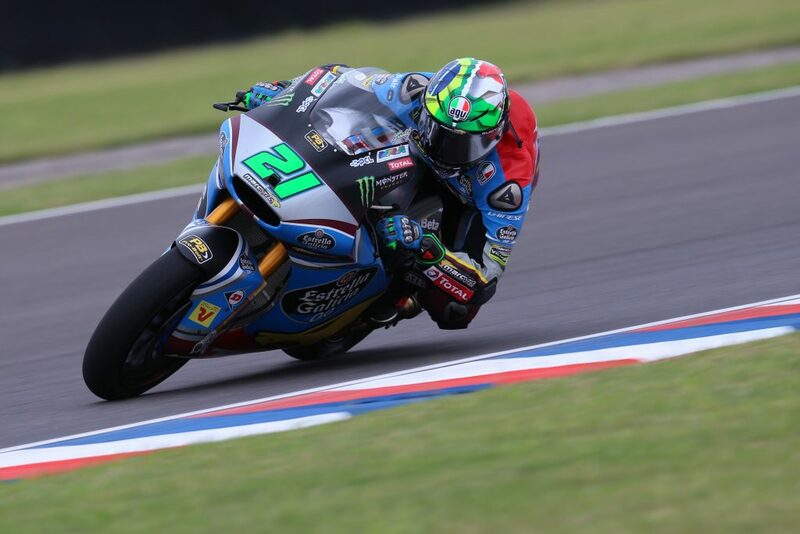 It was an EG 0,0 Marc VDS duel at the front in Argentina won under intense pressure by Franco Morbidelli, as teammate Alex Marquez crashed in final lap drama as he pushed to catch the Championship leader. 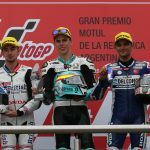 Polesitter Miguel Oliveira (Red Bull KTM Ajo) took an impressive first podium for the new intermediate class KTM chassis as he crossed the line in second after Marquez’ crash, with Qatar podium finisher Tom Lüthi (CarXpert Interwetten) taking third after another signature solid ride. 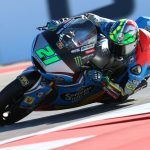 It was Morbidelli who got the holeshot, with the front row shuffling for position until the two Estrella Galicia 0,0 Marc VDS riders began to pull away and Morbidelli stoked up a lead. 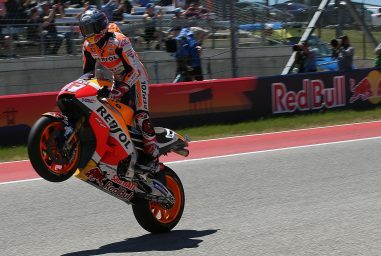 Marquez stayed on the chase, however, closing in steadily until dueling it out with a handful of laps to go. 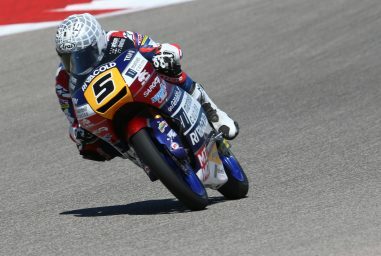 Fended off and settling back into second, the rider from Cervera put in the work to close in on the final lap once again – before dramatically high-siding out behind his teammate. 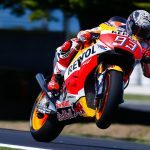 Marquez picked himself up and made it to the line, finally finishing the race outside the points. 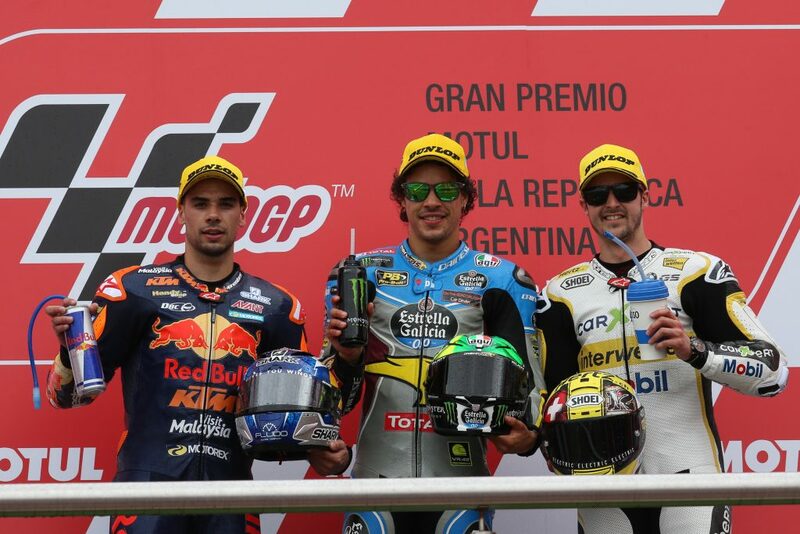 Oliveira avoided the incident to take an impressive first podium in Moto2™ for the Portuguese rider and first ever for the KTM chassis, with Lüthi the man to gain big from the drama up ahead as he took his second podium of the year in P3. 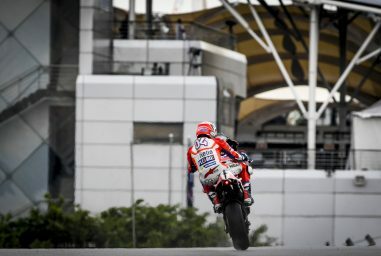 Another expected key title contender, Takaaki Nakagami (Idemitsu Honda Team Asia) suffered opposite fortunes, as the Japanese rider crashed out early on. 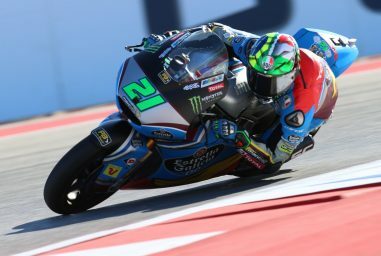 Behind the drama up front, fourth was a solid ride from Forward Racing Team’s Lorenzo Baldassarri, with Tech 3 Racing’s Xavi Vierge impressing to complete the top five just ahead of Italian veteran Simone Corsi (Speed Up Racing). 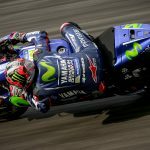 Francesco Bagnaia (Sky Racing Team VR46) was top rookie in P7 in a tight midfield, just beating Dynavolt Intact GP rider Sandro Cortese to the line. 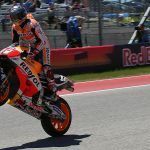 There was another incredible rookie performance in ninth as reigning Moto3™ World Champion Brad Binder put in a stunner, still suffering with an arm injury and making it up from outside the top 20 on the grid. 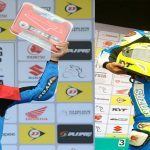 Hafizh Syahrin (Petronas Raceline Malaysia) completed the top ten, ahead of Marcel Schrötter (Intact Dynavolt GP), Luca Marini (Forward Racing Team), Jesko Raffin (Garage Plus Interwetten), Dominique Aegerter (Kiefer Racing) and Jorge Navarro (Federal Oil Gresini Moto2), who scored his first points in Moto2™. 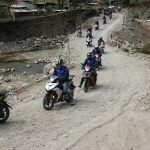 The intermediate class now head for Austin, Texas, for the third round of the year.